AIIMS 2019 Final Registration has been started. AIIMS MBBS is organized every year on a national level. 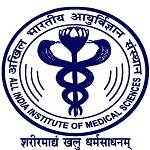 All India Institute of Medical Sciences, New Delhi is the authority to conduct the entrance exam. AIIMS offers admission in MBBS courses in AIIMS affiliated institutions in India. Admission will be offered in AIIMS, New Delhi, Bhopal, Jodhpur, Rishikesh, Bhubnaeswar, Patna and Raipur. Here, we have mentioned the AIIMS 2019 application form complete details. AIIMS MBBS 2019 Code Generation & Final Registration Facility has been re-opened. Candidates can generate their code & complete their final registration from 19th to 25th March 2019. Click here for final registration. From 2019 onwards, AIIMS has introduced PAAR facility for online registration. The registration process can be done in two parts i.e. basic registration & final registration. Candidates can fill their basic details & upload images in the 1st part & in 2nd part they can complete their application & fee payment. Click here to view notice. Candidates can start the basic registration process of AIIMS MBBS 2019 from 30th November 2018. It has been divided into two steps, i.e basic registration and final registration. The AIIMS application form can be filled through online mode. No other mode is entertained in this regard. In basic registration, candidates have to fill their basic details & upload images. In the application form, candidates have to upload the scanned images of photograph, signature and thumb impression. Students can edit their details before the last date of basic registration. Candidates who complete the basic registration will be able to proceed for final registration. Final registration can be done from 21st February to 12th March 2019. In final registration, candidates will have to fill remaining details and pay the application fee. However, candidates are advised to fill the application form with utmost care. Candidates also take the printout of filled-in application form and keep it till the admission procedure. Candidates have to submit the given below application fee through online mode only. Fee payment can be done at the time of final registration only. The requisite application fee can be remitted by using debit card/credit card and net banking. Nationality: Indian Nationals/OCI/FN (Foreign National) can apply. Age Criteria: Candidate’s age should be 17 years as on the 31st of December of the year of admission. Qualifying Exam: Candidate must pass 12th or equivalent examination from a recognized board/university of any state. Subjects: Must pass the qualifying examination with English, Physics, Chemistry and Biology subjects. Minimum Marks: The minimum aggregate marks should be 60% for OBC & General category and 50% for SC/ST/OPH candidates in the qualifying exam. Appearing Candidates: Such candidates can also apply. Click here to view AIIMS MBBS 2019 Registration Notice. The official AIIMS Dates are provided below in the table. Here, we have given the step-by-step procedure to apply for AIIMS online application form. Visit the official website (link is given above). Click on the “Click here for New Basic Registration” button. Read the instructions and click on ‘Proceed’ button. After that, registration page will be displayed on screen. Fill the registration details like personal and contact details. Read the declaration and click on ‘Generate Registration ID & Password’ button. Candidate ID will be displayed on screen after that. Now, login with the generated ID and password (sent to the registered email id). Verify the filled-in details and click on ‘Proceed for Step-2’ button. In this step, candidates have to upload the scanned images of photo, signature and thumb impression. After the closing of basic registration and accepting of basic registration, candidates can proceed for final registration. The final registration can be done after the final status of basic registration. Now, select the payment mode, fill the fee details, enter the OTP and click on ‘Submit’ in step-3. After that candidate has to fill the exam city choice and proceed for step-4. Now, fill qualification and complete address details. Now proceed to step-6. Print the confirmation page after submitting all details. Keep the hard copy of filled-in application form till the admission process. If you have any other queries about AIIMS Application Form 2019, you can write your queries in the comment box given below. Try after some time, there might be server issue. sir, AIIMS basic registration form starts on 30 Nov 2019, may I know the time from the on line form can be start to fill up on 30 Nov 2018. I read in class 12…can I join in this exam …??? How will be the photo to be uploaded for aiims entrance exam? Biology is necessary to have among main subjects. Sir, in which fingers thump impression need to apply? Which hand? how many times i can give neet exam. Registration Link is given in our article. The link is not activated yet. I need link for AIIMS MBBS entrance axam Registration, can any one give link. Do the photo that must be uploaded should contain our name and date of birth ? Where the basic registration process link? It will release on 30th November. It will start from 30th November 2018. Is there any particular time for registration? Bcoz it is showing registration is closed! Do we have to qualify the NEET exam to get admission in AIIMS? If yes what are the minimum marks required? for Admission in AIIMS you have to appear in AIIMS MBBS exam. i am not able to see CLICK HERE link on registration page. Has the application for MBBS 2019 been uploaded today? hello sir could u please tell me this basic registration and final registration belongs to ug or pg?? bal ka abhi tak basic registration opem kaahe nahin huwa? aiims site is not open today . Registration started or not tell me sir. Minimum eligible marks in aiims? Sir, do we have the choice to select the date and shift on which we want to give exam or it is decided by them only??? it will be decided by them. Sir, which are the AIIMS institutions in lndia and total seats? I am now a student of class 12…My board exam will be held after just 3 months….I am 17 years old now…Am I eligible for this exam in next year when i will 18 years old? Candidate’s age should be 17 years as on the 31st of December of the year of admission. Sir i failed in class 12 and this year i am repeating board exams so can i apper for AIIMS.??? I am currently in my first year at university doing Biology, Chemistry and Pre-Calculus. I would like to transfer to your school in September 2019, am I eligible? Can i fill aiims form now? The dates are over now, you can apply for July session starting from 18th Oct.
Is the PAAR registration common for all UG courses like MBBS ..BSc etc or it is only for MBBS..? Is the syllabus changed from 2018 to 2019???? I am an engineering student,can i apply for aiims exam. 25 Years for genaral and 30 for sc/st. 12th appearing candidates can also apply. This is Masereka Abdul Karim, a Ugandan parent looking for a placement for my daughter for a course in bachelors Degree in Nursing. She completed a certificate in Nursing at Kampala University In Kampala-Uganda. I will be very grateful to hear from you. Thumb impression of which hand is to be uploaded? I am not NRI.I am a Bangladeshi. Can I give AIIMS exam?